Today the participants had another session with Fr. Thomas Hopko and one with Fr.Eugene Pentiuc. The participants were excited to be learning about the depth of their faith and to explore the information further in small discussion groups. 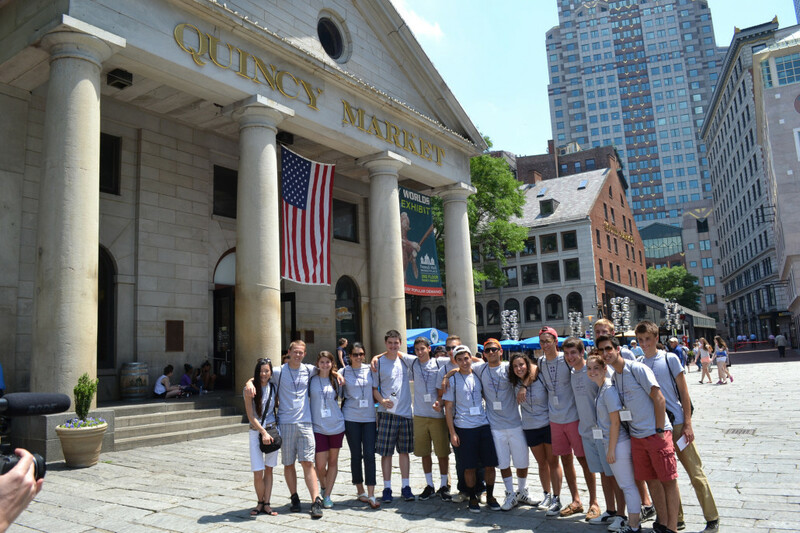 After their sessions, the participants went to Faneuil Hall in downtown Boston where they shopped and got to see some of the oldest, most historic sites in the country! In the evening the participants went to St. Nectarios, an icon filled church in Boston. They were able to venerate the icons and relics of Saints.This set the participants up for their Night with the Saints where, in small groups, they “met” different Saints, venerated icons and relics in the Holy Cross Chapel, and learned what sainthood means and that every “normal” person has the opportunity and calling to be a Saint.